Your chosen sexEstore order will be discreetly and promptly delivered as a plain packaged parcel. 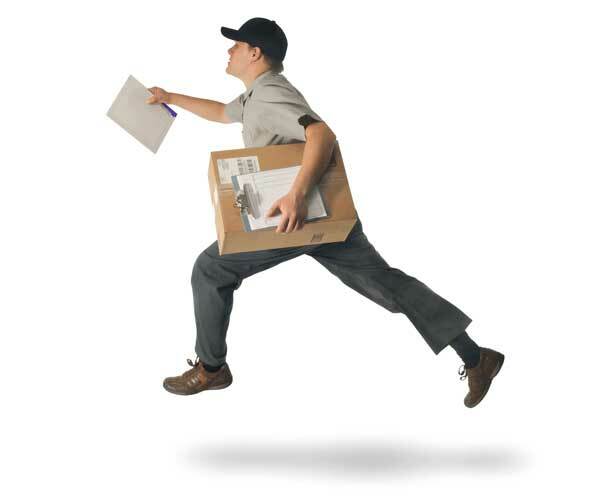 The only information to appear on your parcel will be the recipients name and address. No reference to sexEstore or your parcel’s contents will appear on the packaging. Metro Areas: It typically takes 2 business days to deliver to metropolitan addresses however we quote 2 – 5 to avoid disappointment should there be any unexpected delays. Country Areas: It typically takes up to 4 business days to deliver to regional addresses however we quote 4 – 7 to avoid disappointment should there be any unexpected delays. Orders placed before 2PM AEST Monday-Friday will usually be processed that same day. Orders placed outside of standard business hours (Monday-Friday, 9AM-5PM AEST) will normally be processed the following business day. We will send your online tracking details to the email address you provided us during the checkout process as soon as we have dispatched your parcel for delivery. This will allow you to monitor your parcel’s delivery progress all the way to its destination. Alternatively you can find your online tracking details once your package has been dispatched for delivery by logging into your sexEstore My Account and viewing your order (orders placed as a ‘Guest’ user will not have this option). Yes, we ship orders to PO boxes and/or parcel lockers. Simply include the PO Box or parcel locker details in the order delivery address fields. Should you have any special delivery instructions simply include them in the ‘Order Notes’ field during checkout or alternatively you can contact our customer service team. We will always do our best to accommodate any customer delivery requirements you may have.